" THANK YOU & GOD BLESS "
Cherished Cockers is an Ohio based, all volunteer group of Cocker Spaniel lovers who wish to help Cockers Spaniels have the lives that they deserve. We are funded by donations and fund raising events which goes directly to helping the Cocker Spaniels that have been rescued by Cherished Cockers Rescue. We do not have a shelter; instead all of our Cocker Spaniels we rescue are living in foster homes. At times, we may have to board a Cocker at a kennel if no foster home is available. Cherished Cockers and our volunteers are dedicated to rescuing, whenever possible abandoned, abused, displaced, injured, and surrendered Cocker Spaniels regardless of age or physical condition. We then provide them with veterinary care and eventual placement in forever homes where they will be treated as family and receive the love that they deserve. We also serve our community and adopters by educating and encouraging responsible pet ownership and the need for spaying and neutering. -We do not discriminate against anyone for reasons of age, race, religion, politics, gender or sexual orientation. This organization was started in the fall of 2003. Visit the Our Story's page for more. Cherished Cockers is in desperate need of foster parents in Ohio and occasionally out of state. 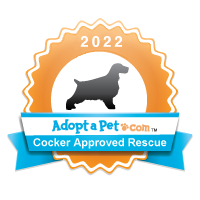 If you feel that you have room in your home and in your heart for a rescued Cocker Spaniel to live with you until it can be adopted, please consider becoming a foster parent. You will need to complete the Foster Application to start the process! Please consider signing up with iGive and choosing Cherished Cockers as your charity. That way, whenever you make an online purchase from one of iGive participating merchants, (It has 700 stores/shops/merchants, like HSN, Lands End, Drugstore.com, QVC, JC Penney, Petsmart, Petco, Walmart, Spiegel, Barnes and Noble and many more), a portion of your purchase goes to Cherished Cockers at no additional cost to you! Cherished Cockers only means of meeting the veterinary and grooming needs of the Cockers in our care is by Adoptions and Donations from caring and compassionate people like you. Please consider donating to help support the rescue efforts of Cherished Cockers Rescue. Donate through your companies corporate matching funds program . We are members of The Progressive Insurance, PepsiCo Foundation, Allstate Giving Campaign and State Employees Community Campaign. By using PayPal, you can make an immediate tax deductable donation using your credit card. 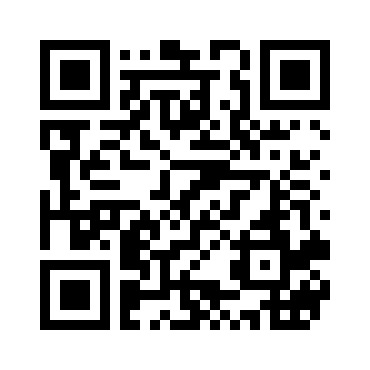 Just click on the PayPal button.